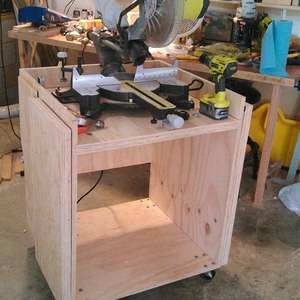 This is a stand I made for my miter saw. I got the plans online. 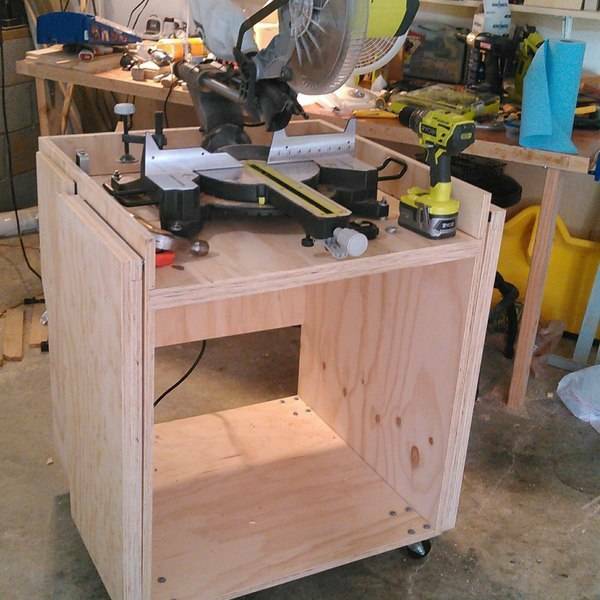 Rolling Miter Saw Cabinet w/ Folding Support Wings (Free Plans). Wonderful addition to your shop!! 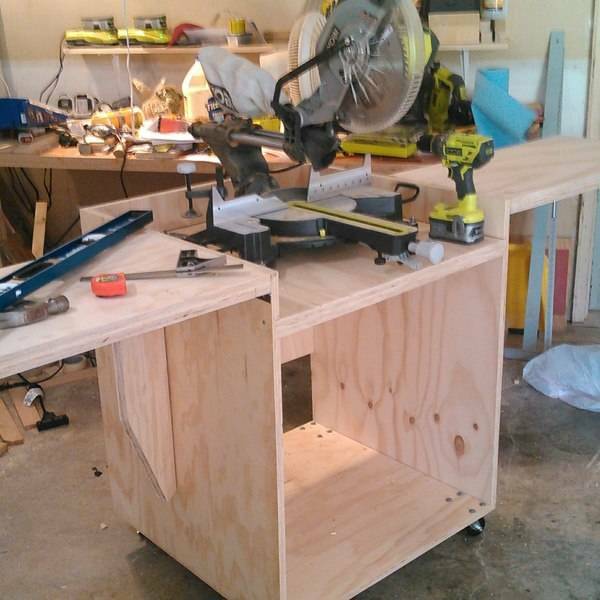 Adds functionality and extra space! Great job!